our catered dessert bars make events epic. Step 1: Have your cake. Start by choosing a “naked” cupcake flavor. Time to get to the heart of the matter. Step 3: Top it off. Put logic aside and let your taste buds take the lead. This is where things get serious. Big decisions have to be made. Or do they? Step 5: …and eat it too! 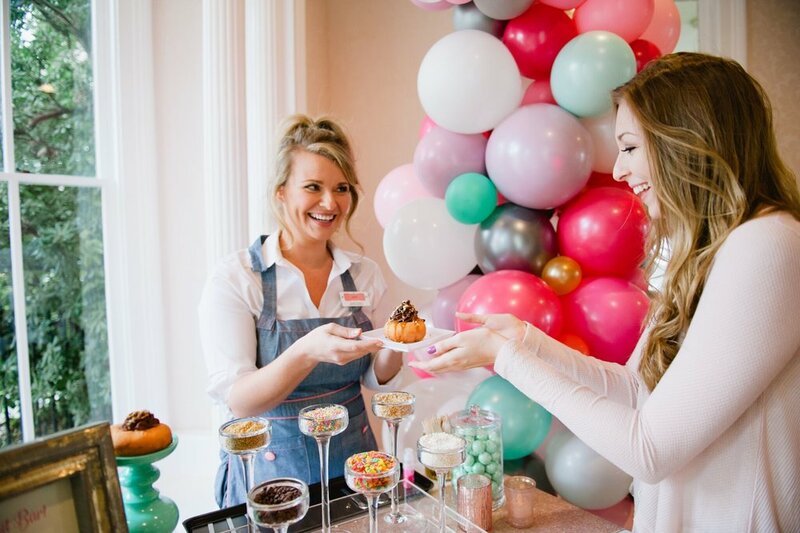 The Cupcake Bar is truly a one-of-a-kind creation just for you. 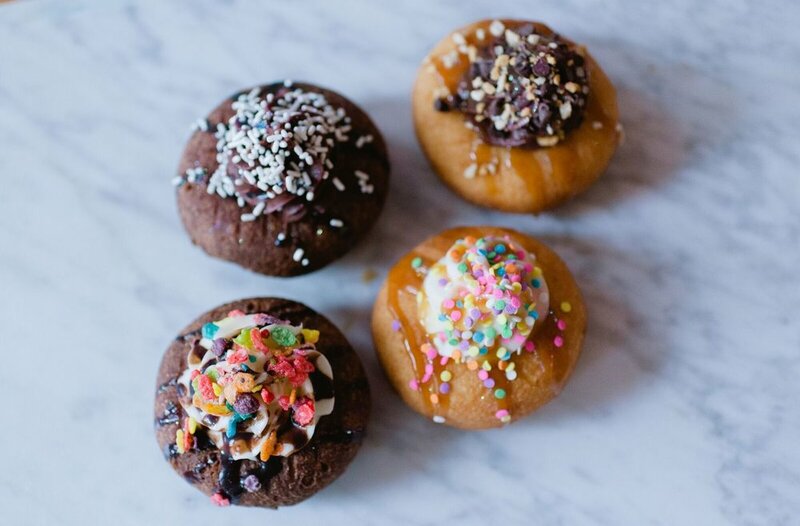 Score a hole-in-one with our doughnut bar — a treat so dreamy, guests’ eyes blissfully glaze over at first bite. 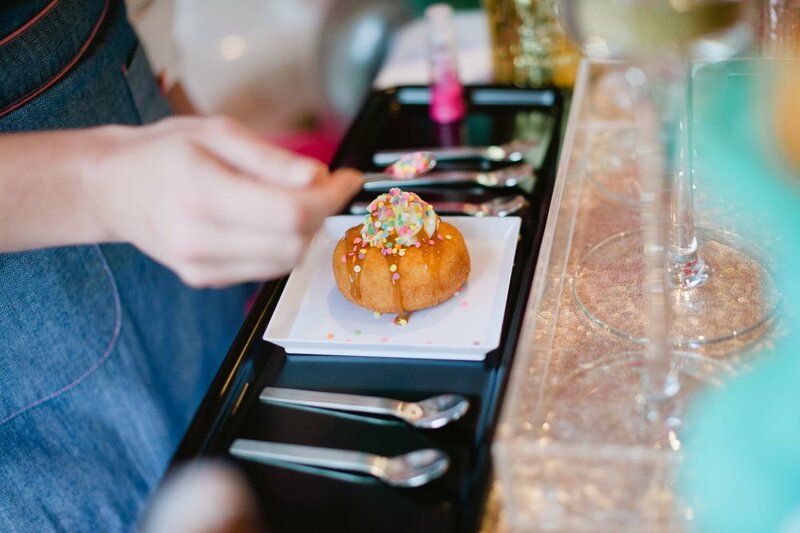 A Roaming Treat Bar is a sure conversation starter and a great add-on to The Cupcake Bar. Your guests will totally fall for this fun treat, available during peak apple season, October-December. Do you offer custom design packages? Absolutely! 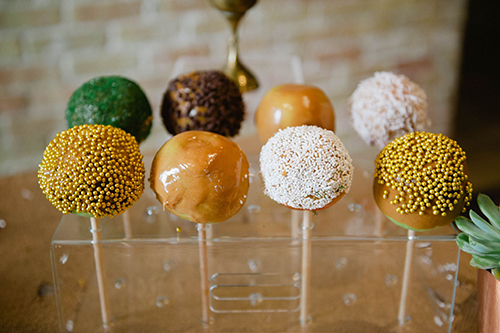 Options include The Cupcake Bar, The Doughnut Bar, Roaming Treat Bars and The Caramel Apple Bar (seasonal). We specialize in designing the perfect package to suit each individual event. Check out some examples on our Facebook page. We offer an extensive array of cupcake flavors, fillings, icings and every kind of candy, sprinkle and sparkle you can imagine. The menu also changes seasonally and can be customized to suit your event. 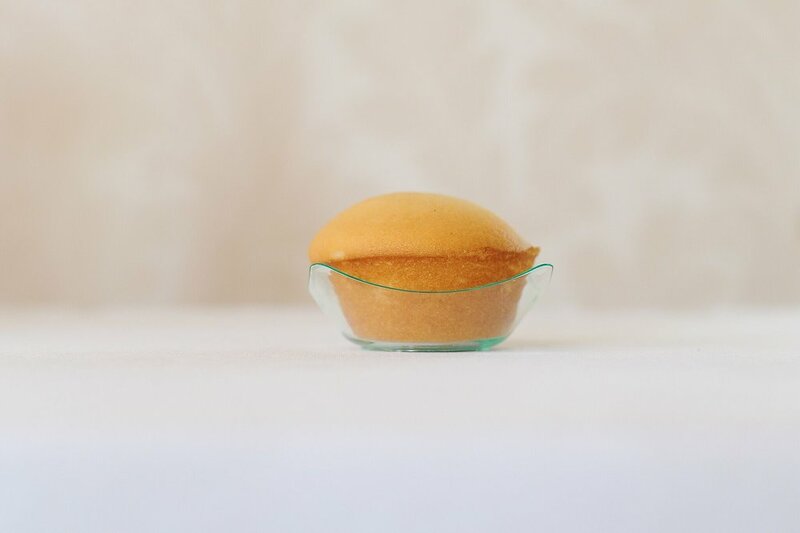 We provide menu options during the complimentary consultation. Because we specialize in events, we don’t have a storefront. We are by appointment only. Please email info@thecupcakebar.com to set up a private tasting or any inquiries. Location is no limitation. We can set up indoors, outdoors, at your home, office or almost any venue. We have catered events in Austin, Dallas, Houston, San Antonio and College Station. Travel fees apply for events outside the Austin area. Do you offer cupcake delivery? Most clients choose the full Cupcake Bar experience, but we also offer limited delivery of custom cupcake creations, cupcake kits and corporate gifts, based on availability. 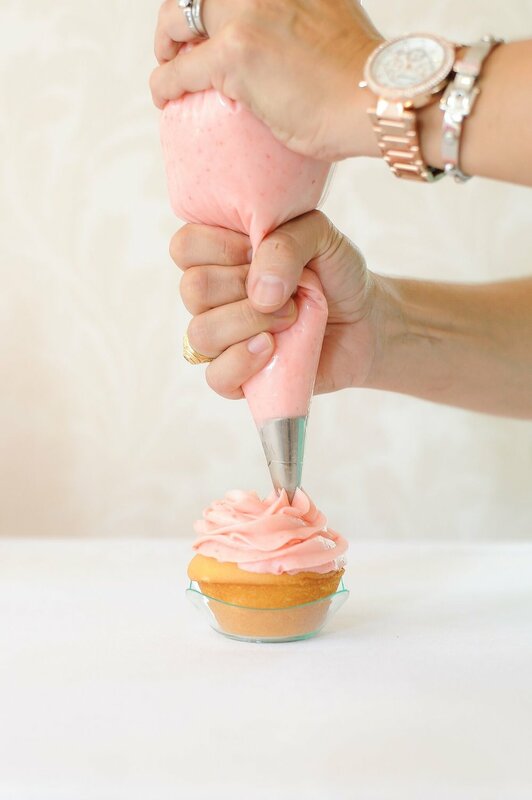 Are your cupcakes and icings made from scratch? Yes, everything is made from scratch—no cans, no mixes—and freshly prepared right before each event.